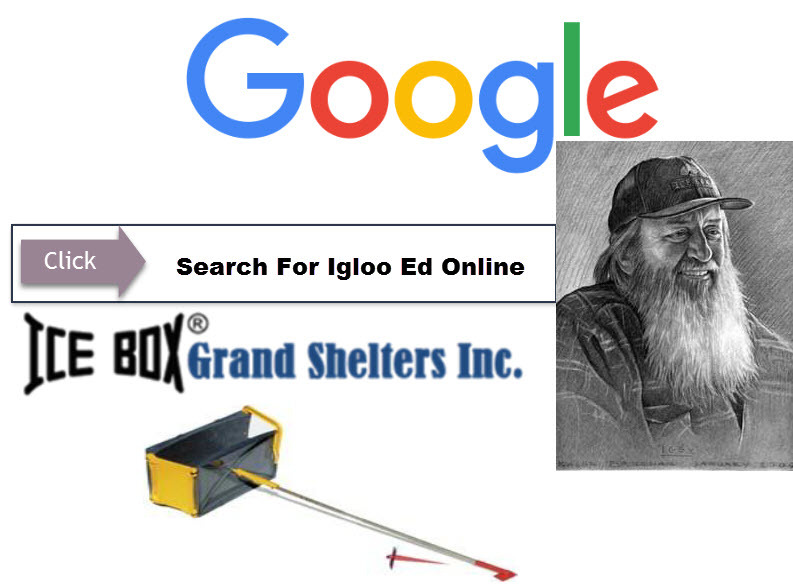 Snow shelter materials have been tested to -70 deg F. One ICEBOX® tool will build a 7,8,9,10, or 11 ft Igloo. 7 ft. (2.13m) = 1 person, or 2 people less than 5 ft tall. Want more comfort? Dig a trough across the igloo allowing you to sit with your legs hanging instead of cross-legged style. You can build with any snow conditions allowing you to stay in the woods and out of the wind. Snow types include sugar snow, slurpee type ice, depth hoar. Most noteworthy, building an igloo takes 50% less effort than is required to build a quinzhee or dig a snow cave of equivalent size. Build time is approx. 1-3/4 to 3 hours depending on snow quality and quantity. The short build time will not cause fatigue and being outside while building, you will stay cool enough to prevent sweating. 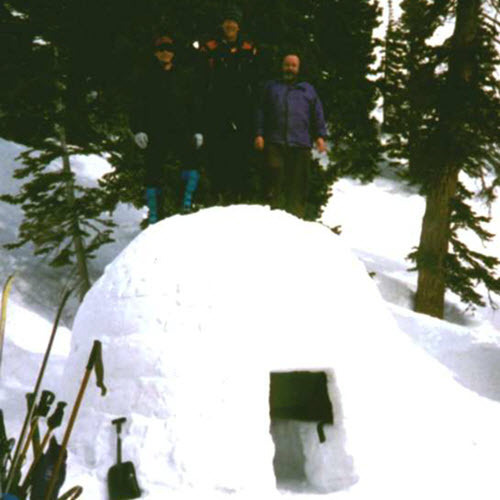 An ICEBOX® igloo snow shelter is so strong, 3 people have stood on top of a completed igloo (not recommended). The actual cross-section of a ICEBOX® igloo snow shelter is self-supporting because it forms a catenary curve. The same theory used in the flying buttresses of the cathedrals of Europe. ICEBOX® igloo shelter blocks are built in sequence on the wall meaning you are only handling the snow once. The igloo blocks are built in place. The builder is able to kneel or stand rather than lying down or kneeling like a snow caver. Kneeling is only required for the first row. Extend the season, you only need 6 inches of snow for an igloo, when an igloo can be built from surface snow on summer glaciers. 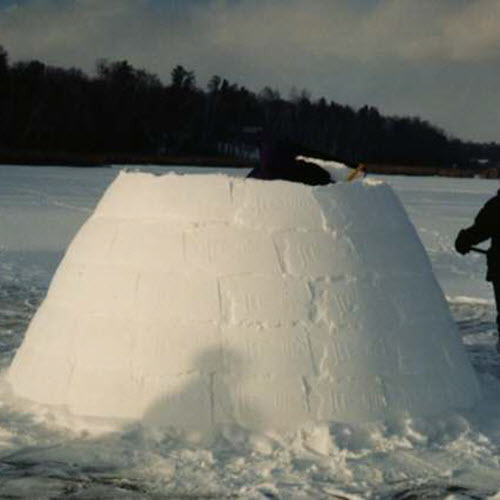 ICEBOX® igloos have been built on frozen lakes with only 3 inches. (See North Dakota Minnesota photos.) An igloo, above all, is tall enough to facilitate standing up to stretch or get dressed. Enjoy quiet, peaceful camping with no flapping in the wind like a tent. Winter camping in an igloo is just plain fun. With outside temps of -15 F and two candles burning the temps will be 48 F at the ceiling 38 F at the floor. With no heat source and all occupants in sleeping bags the temps 38 F at the ceiling and 34 F at the floor. No need to sleep with the water bottle. Great ICEBOX® Igloo built as snow shelter.